“Thoppu Karanam” is a Tamil (a South Indian Language) word, which means to hold the ears. From ancient times this practice has been evident in the Indian Culture, where people practice in front of the image of the Lord Ganapathy (a symbolic representation of supreme energy in the form of an elephant which actually signifies wisdom. Thus also connected with the brain. “Ga” representing Intelligence, “Na” representing Wisdom and “Pathy” representing – Master, so ideally meaning the Master of Wisdom and Intelligence). It is said that this practice is a request to stimulate the wisdom and intelligence. 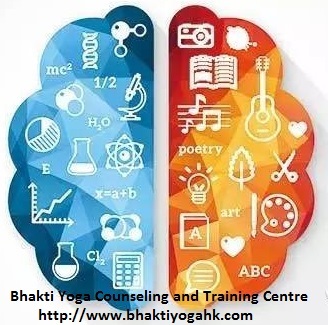 It is also said that the practice has been evident in the ancient Gurukula Systems, where the seers asked their pupils to practice this technique in order to stimulate and energize the brain and its functions. The practice of ear piercing too has its real reasons being the stimulation of the pituitary and pineal glands, due to the effect of the pressure in the ear lobes. Today this practice has been reinvented and is promoted in many parts of the world as “Super Brain Yoga” and more and more people are taking to it. 1) A medical doctor Dr. Eric Robins in Los Angeles, regards it “a fast, simple, drug-free method of increasing mental energy” and prescribes it for his patients. He speaks of one student who raised his grades from C’s to A’s in the space of one semester. 4) Yale neurobiology researcher Dr. Eugenius Yang, Jr. says the practice stimulates neural pathways in the brain by activating acupuncture points on the earlobes and synchronizes the right and left hemispheres of the brain, as demonstrated by EEG (electroencephalograph) scans. “I do it every day,” he said. He has prescribed this for patients with Alzheimer’s and children with autism and Attention Deficit Hyperactivity Disorder. 5) In Eastern medicine the outer portion of the ear is viewed as a microsystem representing the entire body. According to Dr. Paul Nogier MD, a neurologist, the ear corresponds to an inverted fetus curled in the womb. Points on the ear correspond with specific areas of the body and the ear lobe corresponds to the head. Consequently, massage of these points can produce therapeutic benefits to the brain. Preferably in the early morning, facing the east, which means to the sun. But if this is not possible, practice this anytime at your convenience. Step 1: Stand with your feet pointing ahead, about shoulder width apart. It would a good practice to press the tongue firmly into the roof of the mouth. Step 2: Place your left hand on your right ear lobe, thumb on the front of the lobe with fingernail facing outward and index finger behind the ear lobe. The right ear lobe represents the left brain. When you hold the right ear lobe in this manner, you energize and activate the left brain and pituitary gland. Step 3: Place your right hand on your left ear lobe, so that your thumb is on the front of the lobe facing outward. The left ear lobe represents the right brain. Holding the left ear lobe this way energizes and activates the right brain and the pituitary gland. Step 4 Press both earlobes simultaneously, making sure your left arm is inside your right arm. Step 5: Pressing into the earlobes in this manner, inhaling through the nose, squat down as fully as you can, keeping your back straight. Exhale through the mouth as you come up. Repeat this for at least 10 to 12 rounds to start off with and gradually increase this practice to about 15 minutes at your own pace…enjoy your practice. 4月份活動開始報名,_報名2527 4000_9303 1671 April 2019 activity program starts to be registered!